Two ancient stars collide, proving Einstein was right. Neil and Dan teach you how to use language in the news in your everyday English. Two dead stars, which collided 150 million years ago, have made gravity waves and proven Einstein's prediction correct. Two stars hitting each other has been described as ‘cataclysmic’, but what does that mean? The collision of two dead stars has been watched for the first time by an international team of researchers. 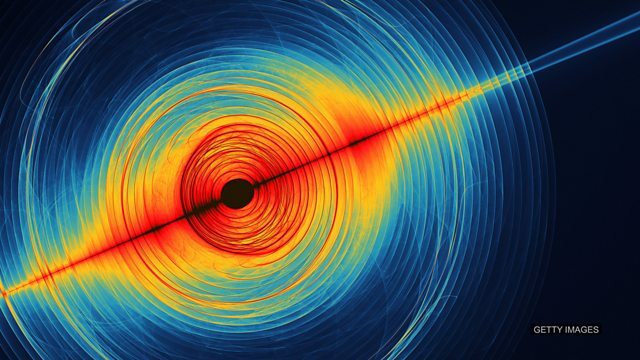 The event gave off gravitational waves, ripples in space and time that were first predicted by Albert Einstein. The collision happened 130 million years ago when dinosaurs roamed the earth, but its light and waves have only now reached us. One researcher described it as the first full picture of one of the most violent, cataclysmic events in the universe. His refusal to admit to the lie ______ her anger, and she shouted at him loudly. The detective refused to believe it. He would ______ all of the evidence until he could prove their innocence. In the wake of the bombing ______ of fear moved through the country.